What does it take to be a successful freelancer or entrepreneur? Is it knowledge and experience, people skills, consistency and hard effort, serendipity, or a random streak of luck? It’s all of that, plus a bit of useful technology. Using the right apps can put technology to work for you in your freelance or business career. Using the right apps for finding freelancers or other services is also very important, be it for hiring the right person for the job or buying a new product. We found an app that is the perfect tool to help you. It’s called People-App and it is completely free. The People App features are developed and designed based on research, studies and close observation of the available technologies which serve people for satisfying their needs. 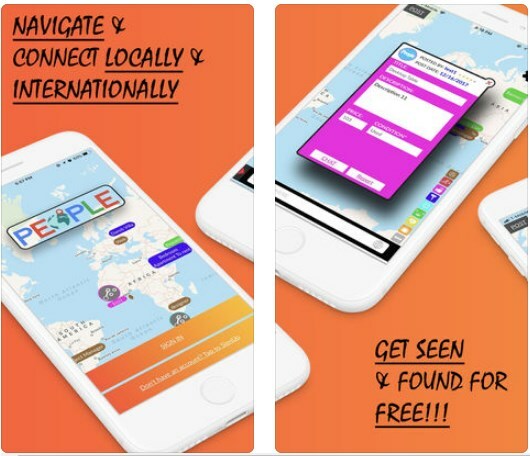 So the People-App is designed as a platform where people from all parts of the world can be discovered by their skills or they can find what they need with the app’s interactive map – fast, without any boundaries or restrictions. When trying to find a particular someone or service the app will present you with all the users that correspond with your search and needs. Other apps or websites will present you with a predetermined list of people you can choose from, the people app will show you all of them, neatly presented on its interactive map. If you are a seller, seeking for more buyers for your products, becoming more visible on other apps or websites can become a time consuming and quite expensive task. So you end up spending a lot of your money trying to increase your visibility and climbing the ranks of some algorithm based lists. But with the People-App there are no lists or ranks to climb on. This app provides an equal-opportunity platform for each and every one of its users. Everyone gets a place on the map, and everyone gets equal visibility. This means that finding the right person or product can be done within a few seconds, with only a swipe of a finger. Give the People-App a try, find and download it at the App Store for free.